Start and end in London! 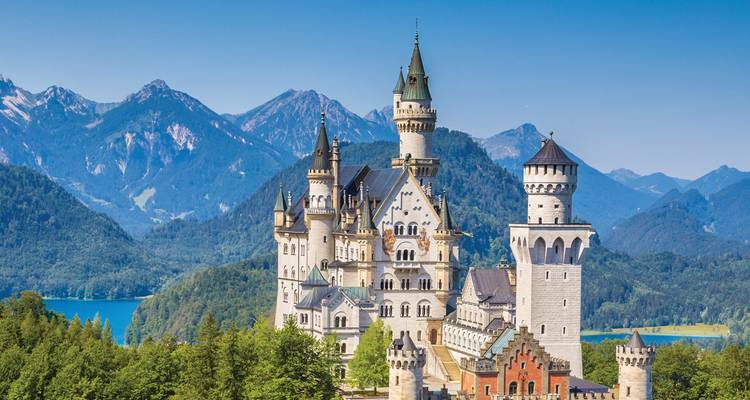 With the discovery tour Highlights of Europe Return Eurostar (Summer 2019, 15 Days), you have a 15 day tour package taking you through London, England and 8 other destinations in Europe. Highlights of Europe Return Eurostar (Summer 2019, 15 Days) includes accommodation in a hotel as well as meals, transport and more. We are delighted to learn that your experience in Europe with Insight Vacations was a total success. We are even happier to hear that our staff’s passion and dedication alongside our unique dining experience shined throughout your time on the road. Furthermore, we look forward to sharing more amazing destinations with you in the near future. Your comments relating to your experience on the Highlights of Europe were great to read. At Insight Vacations, we are aware of the vital role that our Travel Directors, Coach Drivers and Local Experts play in the success of your trip. As a result, we are thrilled to learn about the professionalism and attention to detail displayed throughout the course of your trip. It makes us just as happy to know that the consideration shown, set the perfect tone for a once in a lifetime guided holiday and we look forward to you joining our dedicated team again to explore more fascinating destinations in the future. Day 2: From London to Amsterdam. Recommended for Germany, Austria and Switzerland. Ideally 6 months before travel. TourRadar can request Insight Vacations to hold spaces for you for up to 48 hours without any credit card details. TourRadar only requires a deposit of $99 to confirm this Insight Vacations booking. The remaining balance is then payable 50 days prior to the departure date. For any tour departing before 8 June 2019 the full payment of $5,175 is necessary. No additional cancellation fees! You can cancel the tour up to 50 days prior to the departure date and you will not need to pay the full amount of $5175 for Highlights of Europe Return Eurostar (Summer 2019, 15 Days), but the deposit of $99 is non-refundable. Covering a total distance of approx 3,090 km.